Evans B14Res7 Coated Drum Heads.. Looking for a quicker attack? 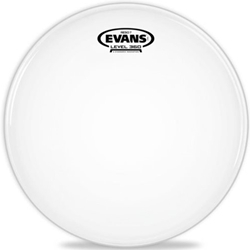 The Evans Reso 7 drumhead gives you the ideal balance of tone and control that drummers love. The Reso 7 is a 7-mil, single-ply coated head with a full tonal range and shortened sustain. This gives you control of your kit's response without having to use gels or tape to muffle your drum. Lay down great-sounding beats with the Evans Reso 7 drumhead.